I am a full-on scientist, here in The Happy Girl Lab, with my Experiment PowerPoint as a guide and my hair pulled back with a No. 2 pencil in a busy-girl twist as I review this week’s Happy Girl Experiment #2. In my search to get my happy back I’m experimenting with different protocols and procedures in the field, observing the results and comparing them qualitatively with my before and after happiness (stay with me here). There are some results that I expect (i.e. Bright summer strawberries = high happy girl quotient) and some results that were unexpected. Like many scientists, I’m finding the most interesting experiments are the ones with results that didn’t turn out anything like I expected, like this one. The hypothesis: Supporting someone else in their passion will make a person feel good/happy. The experiment: We have great neighbors. We’re very lucky. Our neighbors next door are a high school principal and a drama teacher. They have two great kids, one in high school and one in college. Several weeks ago their daughter invited me to her high school musical “Thoroughly Modern Millie” with performances over two weekends. L. and I had plans for each weekend but I thought it would be a good thing to support our neighbors by attending the musical. I was happy that I was achieving my goal of supporting someone in their passion. I had no expectations of the actual performance. In fact, to be honest, I didn’t even think about the show. My one goal was to be here at a performance where my neighbor was the director, her daughter a performer and her son in the crew. Period. I took my seat. The woman next to me was there with her friends and their kids. She asked “What role does your child have in this play?” Ouch. Stab. I felt my face blush. “I don’t have a uh . .” I trailed off. I couldn’t finish the phrase. Child. I don’t have a child. Yet. She laughed. “Oh, that’s OK! I don't have a kid in the play either. My friends and I actually LOVE high school plays.” She motioned to her girlfriends who leaned over to wave hello. A high school performance as good as Broadway. Really? OK. These weren’t kids. These were actors. These weren’t students. They were gifted musicians. Once the young woman playing the lead role of Millie started her first few notes she had the audience completely captured. Whenever I traveled (almost a million miles over 7 years) I tried to catch plays in cities I was in- Paris, London, New York etc. This girl rivaled the best actresses I had seen and it wasn’t just her. This high school musical (HIGH SCHOOL) was full of talented artists whose passion leaped from their hearts right onto the stage. I looked around and it wasn’t just grandparents thrilled for the kids up there. The entire audience was caught up in the artistry of this stage production. These kids had to learn tap dancing, choreography, voice lessons and comedic timing. Incredible. Then there were the two boys. 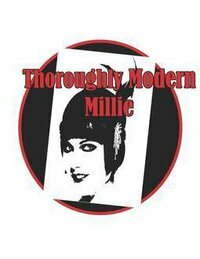 In “Thoroughly Modern Millie” there are two actors who portray Chinese immigrants who help a female hotel operator kidnap young women and send them to Hong Kong. In return for their help she promises to bring their mother over to join her sons. In the musical they speak and SING in Chinese with subtitles on the screen above the stage. In their first scene as they started speaking Chinese there was tittering around me “They shouldn’t be mocking in fake Chinese. That’s not nice.” During intermission, we learned that these two students weren’t faking their Chinese. To be true to their characters both boys learned to speak and sing Chinese along with the choreography and lines that accompanied the parts. They LEARNED CHINESE to be authentic! That is how much passion they had for their parts. When the final curtains came down and the applause started we were rewarded with the final bows. I took in the joy on each student’s face as they bowed and looked out into the audience (the standing ovation audience) as we applauded their incredible effort. I looked at the joy that was bouncing between the audience of families, teachers, friends and actors. I wish you could bottle that. I found my neighbor, her son and her daughter after the show and they were on that high, elated from a good final show. “It was so good,” I said. “You were all just SO good!” As I walked through the lobby I looked back at them and at the other actors and crew hugging, meeting their families in the lobby holding their bouquets and my eyes started tearing up. I stopped for a moment and I realized that happiness is about connecting and supporting and raising someone else up. That is what was happening in that lobby after the show. Grandparents were hugging grandchildren to their chests, divorced parents were together and civil with their kids, proud of what they accomplished, guys were punching each other on the arm and giving each other those little half no-body-contact hugs. I was smiling as I walked back to my car. My goal in this experiment was to see if my happiness grew because I was supporting someone in their passion. This was secondary, however, to the bigger lesson. What I learned from attending this student musical is to embrace commitment and passion. It is about throwing yourself 100% into something. The musical wasn’t a job for these kids. It was something extra outside of school, outside of sports and friends. These kids took tap lessons and learned to sing in Chinese. They practiced countless hours of dialogue to get the timing and accents just right. While the musical was a fun experience, I believe that the audience responded to the passion and commitment that poured out from the students. People are automatically attracted to confidence and positivity. THAT is what was happening in that performance hall. Joy begets joy, love begets love, happiness begets happiness. Part 1) Spring. This is the time of year for school plays, musicals, recitals. Maybe you have a child in your life who you will support by attending their performance. If you don’t? Go online and visit the websites for your local high schools or dancing schools. Buy a ticket and support the arts, support the students. Imagine the confidence that these kids will have when they look out and see a packed house clapping and responding to them. Part 2) There is a gift here for you too. You will get more out of it than you put in. You will be rejuvenated by seeing these kids tap, sing, pirouette, emote their little hearts out on the stage. If you’ve been feeling lackluster at work, phoning it in, just showing up every day, you’ll feel reenergized when you see what life can be like when you throw yourself into something 100%. Maybe you won’t learn to sing in Chinese, maybe you won’t need to remember which foot goes first in a chorus line but what you will remember is that anything you do, you will give it 100%. By doing this you will attract other people who are bewitched by your confidence and enthusiasm for life. This will just feed into your confidence and reinforce your 100% attitude. See how this works? Good luck! 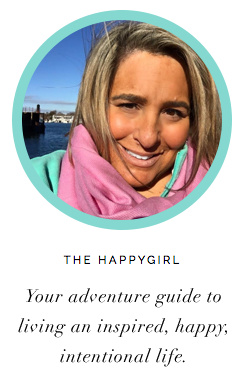 Let me know how you do with The Happy You Experiment #2. Just imagine how many people in this world are doing this with you this week!